Eindhoven has grown from a little town in 1232 to the 5th largest city in the Netherlands with its 220,782 inhabitants (2014). Much of its growth is due to DAF Trucks, Brabantia and Philips. Eindhoven has long been a centre of cooperation between research institutes and industry. The Eindhoven University of Technology hosts an incubator for technology startups (Twinning Centre) and the High Tech Campus Eindhoven promotes open cooperation between companies and institutes. This tradition has also fostered inter-industry cooperation in the region resulting in Brainport- Eindhoven, Europe’s beating high-tech region in the recent years with a philosophy that lays the foundation for open innovation. Eindhoven is an attractive city for talented students, knowledge workers, entrepreneurs and investors from around the world. The Intelligent Community Forum (ICF, New York) named Eindhoven one of the top-7 intelligent communities in 2009 and 2010 and the Intelligent Community of the Year 2011. The management of maintenance is conducted by city. Operation of maintenance is outsourced. Group-based lamp replacement, repair of damage, measuring (stability of poles) and electric inspec-tion of cabinets, functional site of lamps on site, administration insurance benefits, are outsourced activities. Eindhoven is a forerunner in Europe when it comes to intelligent lighting, according, among others, the European Commission report ‘Lighting in Cities’. The city aims to further develop this position. 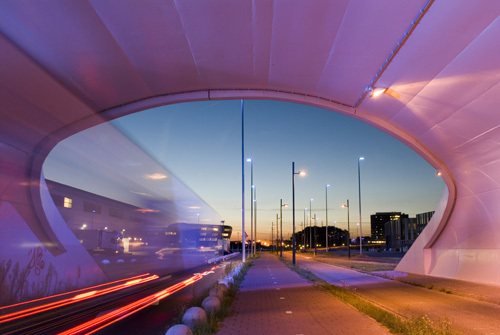 The executive paper „Vision and Roadmap Urban Lighting Eindhoven 2030“, partly emerged from the INTERREG IVC PLUS project (completed October 2012), has become the basis of the new lighting strategy for the city. With this document, the council has a clear goal: to use the lighting grid in the public space in such an innovative way that it contributes to the quality of life in the city, not only through lighting but also with additional facilities and services. Eindhoven is now looking for a partner that wishes to use the city as a testing ground in the coming years for the development of intelligent lighting applications in the public space. To that end, the municipality initiated a European tender procedure in the form of a competitive dialogue process. The municipality has now selected four candidates for participation in the dialogue rounds (July 2014). 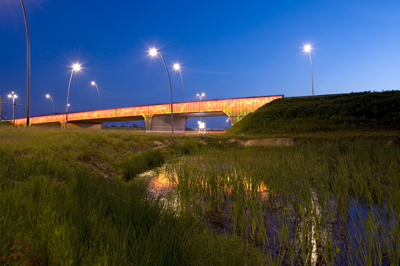 Light-S is an innovative program of the local authorities of Eindhoven and construction group Vol-kerWessels. Within Light-S, different projects investigate how lighting can be applied to create new urban experiences, applying innovative techniques in a dynamic and spatial context. The dream of Light-S is that lighting on Strijp-S will not only be functional, but also aesthetic and interactive – focused on the dynamic, living nature of the public space. The different light projects on Strijp-S all contribute to this main goal. Light-S is a realization of the award winning vision: ‘Strijp-S: Creating a public lighting experience’. All lighting projects of Light-S fit within this vision, guided by the same conceptual, spatial and technological framework, in which enhanced experience through sustainable thinking is considered key. Light-S applies innovation across design, social and technical areas, making Light-S a truly unique initiative. Light-S doesn’t view spectators as passive citizens. They see them as users of the public space that must be enabled to influence their own experiences. They create new experiences, fit for the mo-ment. Light-S also views the public space at Strijp-S as an established research centre, a location that encourages experimentation with new forms, interactions and applications of light. Stemming from the ‘Living lab’ idea, Strijp-S is about constantly experimenting and learning. 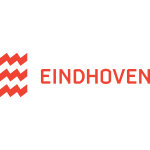 This leads to new experiences and insights and a valuable contribution to Eindhoven’s power to innovate. What Light-S aims to illustrate, is that public lighting can, and should, do much more than only light the streets. The largest nightlife area in the Netherlands is located in Eindhoven and needs to be qualitatively improved both in terms of security cooperation as well as economic viability. Therefore the city started the ‘Stratumseind 2.0’ project. The famous nightlife area is now considered as one of the finest and most promising ‘living labs’ in the city. With special measuring equipment, anonymous visitor data is being collected (up to 15.000 people at the same time) supplemented with any kind of data from and about the environment and local conditions. On top of this and being part of the enhancements there’s a testing ground for sci-entific research into the effects of lighting on human behavior. By measuring and linking various data and studies such as noise, temperature, lighting, incidents, occupancy of car (and bicycle) parks, visitor numbers and origin, we create a wide range of infor-mation. This allows us and involved social- , public- and market parties to test sophisticated equipment based on new insights and ideas about crowd management and a more enjoyable way of spending the night and/or your idle hours in this unique and beloved area. 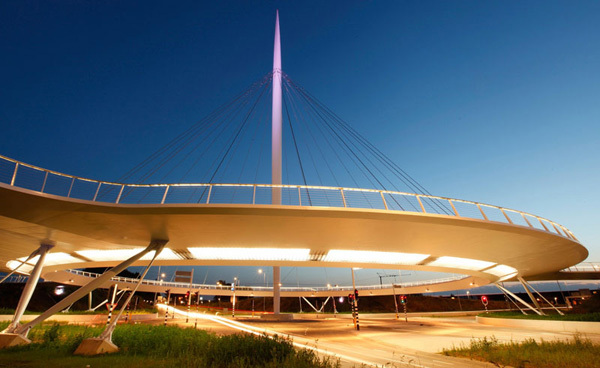 Building upon the results of the INTERREG IVC PLUS project the city of Eindhoven has desig-nated ten areas in the city for the first implementing phase of the ‘Roadmap for Urban Lighting 2030’. The areas are diverse in type; all have, or will soon have, access to fibre optic connections and all need, in varying degrees, maintenance to the public lighting systems. They include two im-portant traffic routes and eight residential areas: Route John F. Kennedylaan – Eisenhowerlaan, Route Ring, Church Village Acht, Jagershoef, ‘t Hool, Vlokhoven, Schrijversbuurt, Gijzenrooi, Blixembosch-West and Woenselse Heide (West). The agreement between the council and the market participant will initially be valid for a period of five years, with an option to extend it to 2030. The market participant will indicate in the agreement in which, and how many, of the above mentioned areas they intend to work. In addition, the market participant will work from a testing ground approach (living labs), collaborating with other busines-ses, knowledge institutions, government and residents on the realisation of what is known as a smart lighting grid. Any existing or still to be developed products and services connected to it can be mar-keted by the market participant. The starting point here is continuüm and open innovation. Our daily life is more and more taking place in the virtual world. A kind of unnoticed modernism but finally entering our personal functioning. Many and soon even more services, facilities and ac-tivities we need and use, are only available online. The rapid developments in the digital world force us to look differently at our future, and thus to the urban development of the city which will increasingly be dominated by organizing and streaming (big) data. Like most cities do, we become aware that the urban lighting grid is the first and provisionally best city-system to explore this exci-ting new future. Next to words like sustainability and experience, interactivity, participation and ethics are the newborn keywords we need to get familiar with in this perspective. 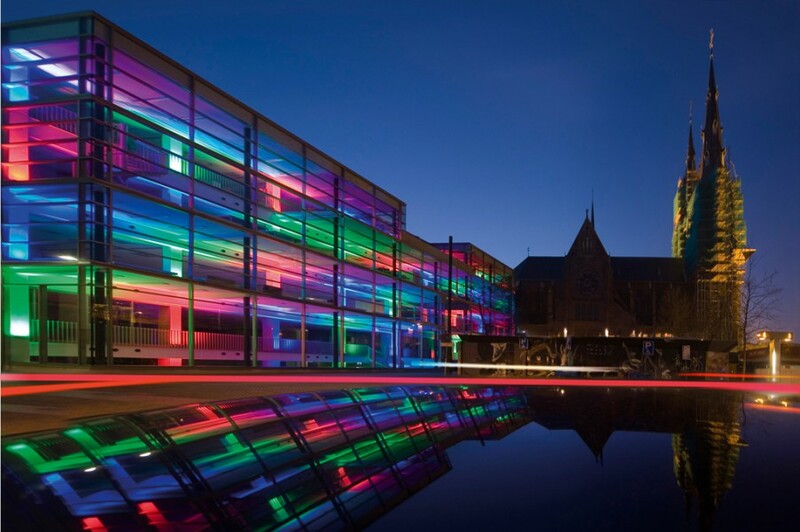 Every November, the City of Eindhoven hosts GLOW, a light art festival visited by more than 700000 people. For more information, see the online LUCI Light Festival Calendar.